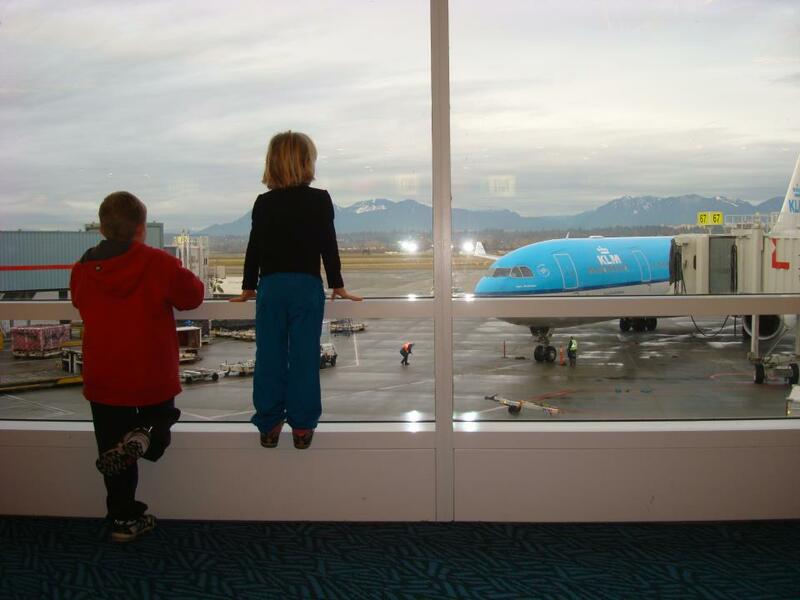 When it comes to flying with kids, planning ahead can really help make your trip easier. Of course it's impossible to plan and prepare for everything, but a little bit of forethought can definitely save you a lot of trouble. Most airlines provide luggage tags that you can put your name and contact information on at the airport, usually at the check-in counter. However, it's a good idea to also put some more permanent luggage tags on each piece of luggage, and also put a sticker or tag with your information inside each bag as well. On long-haul flights, some airlines still offer free meal service, and many do have kids' meals options available. These usually feature foods that are a little more "fun" for kids, and also easier to eat. Check with your airline what options they have: some even offer special meals for babies! Read more here: Flying with kids: all about kids' meals. This is one of those tips I keep mentioning because it's just too good to miss out on. If you're traveling with an infant, do ask your airline if they provide cots (also called bassinets) on board. These are usually free of charge and offered to passengers on a first-come, first-served basis. Your baby gets a bed on the plane, and you get to have your hands free a lot more. 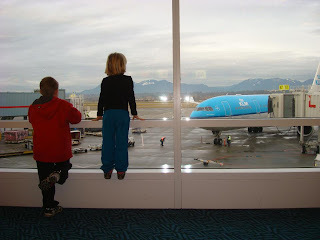 My old blog-post Flying with infants: all about cots & bassinets, has more information. Some suggestions: talk to your kids about the trip and what will happen at the airport (security checks for example); and on the plane (take-off and landing, putting on seat belts, and so on). Read about airplanes and airports. Talk about how they will be expected to behave: no kicking seats, no running around while going through security, etc. In my experience, even young children can really benefit from this kind of preparation. Make sure everyone has a valid passport if you're traveling abroad. If you're a single parent traveling with your kids, you should also have a letter from the other custodial parent, just in case you're asked for this by immigration. Unfortunately, child abductions do happen, and authorities in many countries might want to make sure you are allowed to take your kids out of the country. This post has more information, including a link to a sample consent-letter. Bring whatever prescription medications your child uses, and also some other basic supplies like pain reliever, decongestant and anti-nausea medication. To get through security faster, make sure you follow the rules for bringing liquids on board. Basically this means that liquid medications should be in 3 ounces/100 ml containers, and that you can fit them all into a 1 quart/1 litre clear, ziploc-type plastic bag. Some ideas on what to bring can be found here. When you're packing, it's easy to bring too much, especially when you're packing for kids (at least that's my own experience). Try to only bring stuff you know your kids will wear. Anything they don't usually wear at home (even if it's nice! ), can probably stay at home. If you will have easy access to laundry facilities on your trip, you can bring a lot less as well. I keep a hard-copy of my phone numbers, e-ticket numbers, account numbers, and assorted passwords with me when I travel. (A small address book does the trick.) This is just in case your phone (where most of us keep essential contact information) gets stolen or broken on your trip. Another option is to email important information to yourself so you can access it that way if needed. If you're traveling out of the country, it is a very good idea to check with your provider what calls and texts will cost you while you're away. Data usage is usually very expensive, and you might just want to disable that altogether while you're away. More tips for how to travel with your cell-phone (without it costing a fortune!) can be found in this post. If you're thinking of bringing a stroller or car seat on your flight, it is definitely a good idea to check with your airline ahead of time. Different airlines can have very different policies when it comes to what you get to bring on board, and what you have to check with your luggage. Knowing what goes before you travel can save you a lot of time and trouble. Information about several airlines can be found on the Airline Resources page.